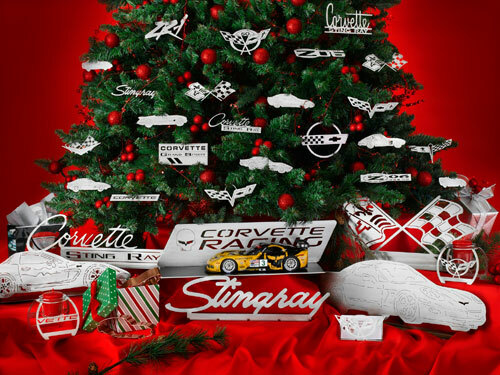 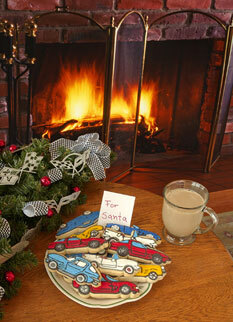 CarArtWork has just released the fifth in its series of automotive holiday cards – Corvette Christmas Wreath. 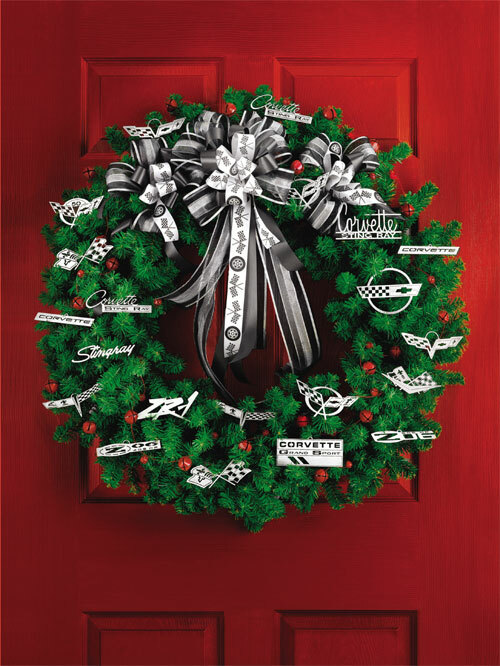 This distinctive card features a beautifully decorated Christmas wreath with sparkling stainless steel Corvette emblem ornaments spotlighted against a brilliant red door. 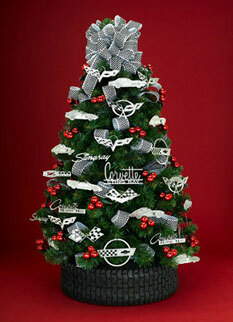 Each of the ornaments featured on the wreath is hand-finished in stainless steel and is also available for purchase.